Occasionally, clothes get wrinkled. Maybe it’s because they sat too long in the dryer, weren’t hung up right away, or possibly because they were just pulled from the pile of laundry hiding in the corner of the room. No matter the case, many people can agree that ironing out wrinkles is their least favorite chore. However, there are multiple ways you can remove wrinkles without having to pull out the ironing board. Before you reach for the iron next time, try one of these tips for getting wrinkle-free clothes without an iron or a steamer. 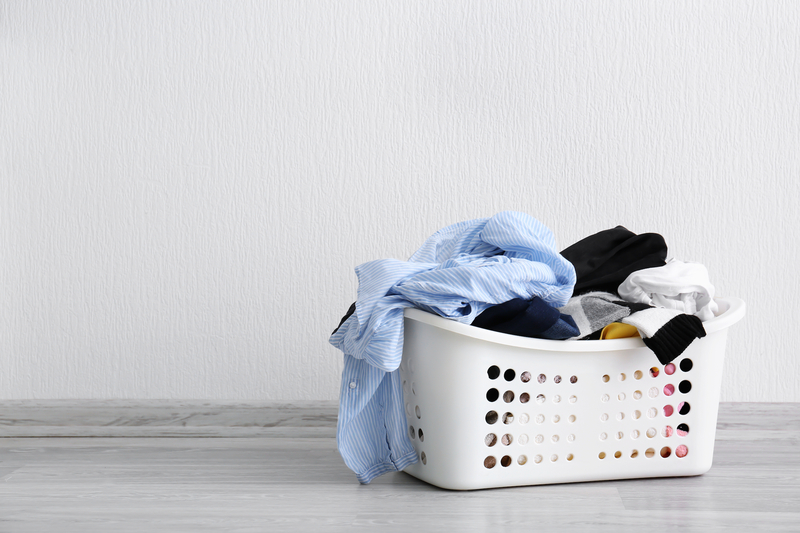 An easy way to get rid of wrinkles in a pinch is to toss the item into the dryer with a dampened cloth. Allow the items to tumble dry on medium for 10 to 15 minutes. Using a spray bottle filled with water, lightly mist the garment. Then, using a blow dryer set on the lowest temperature, hold it about two to three inches away from the article of clothing and blow dry the area, straightening the fabric with your hands as needed. For the best results, place the clothing on a flat surface like a countertop. While boiling water for your morning tea, make use of the steam by also using it to help remove wrinkles from your clothes. Hang the article of clothing on a hanger, once the tea kettle is steaming, remove from the stove, hold it about 12 inches away from the fabric, and straighten the area using your hands. Start the shower, and allow the water to get warm to hot. While the shower warms, ensure that all the bathroom windows and doors are closed to keep the steam trapped. Hang the clothing in close vicinity of the shower, and go about your normal shower routine. It takes around 15 minutes for the steam to do it’s work. Who doesn’t love a long shower, anyway? Flat irons aren’t just for hair, they also serve as a great tool to remove wrinkles. Depending on the fabric, set the flat iron on low to medium heat to avoid burning or ruining the clothing items. Focus on small areas at a time by clamping down on the clothing and ironing out the areas. Be sure not to hold the iron in one place for an extended period of time as it can burn the fabric. Also, clean the iron before using it on clothes to remove any stuck on hair products since they can stain fabrics. Should You Wash Clothes in Hot or Cold Water?